Danny Gimondo won dozens of state & regional championships and placed second in the New Jersey State Finals in high school..
1996: The Inferno Kid was inducted into the ECWA Hall of Fame..
February 22, 1997 – Super 8: Ace Darling defeated The Inferno Kid in the 1st round of the Super 8 Tournament..
Summer 1997: The Inferno Kid tore the ACL in his left knee during a match with Jimmy Proper in Northern Jersey..
February 1998: Inferno Kid returned to training at WrestleTech along with Lance Diamond (aka Simon Diamond)..
March 21, 1998 – Super 8 Tournament: Inferno Kid beat Devon Storm (1st Round) | Inferno Kid beat Ace Darling (2nd round).. 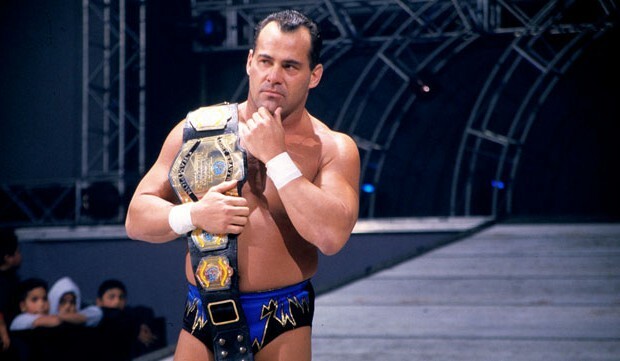 The Inferno Kid formed a successful tag team with Mike Quackenbush known as “Fire and Lightning”..
May 15, 1998 PCW: Fire & Lightning beat Nation of Immigration and Thunder Ryders in a 3-WAY for the PCW Tag Team titles..
May 1, 1999 – WWF Shotgun: Test defeated The Inferno Kid..
October 9, 1999 – WWF Jakked: Gangrel defeated The Inferno Kid..
March 4, 2000 – WWF Jakked: The Headbangers (Mosh & Thrasher) defeated Kevin Landry & The Inferno Kid..
March 18, 2000 – WWF Jakked: Albert defeated The Inferno Kid..
April 22, 2000 – WWF Jakked: The Godfather defeated The Inferno Kid..
February 17, 2001 – WWF Jakked: K-Kwik (Ron Killings) defeated The Inferno Kid..
May 12, 2001 – WWF Jakked: Billy Gunn defeated The Inferno Kid..
April 6, 2002–ECWA: Ryan Wing & Inferno defeated Xero & Benny Stoltzfus..
May 4, 2002–ECWA: Xero & Abunai & Mozart Fontaine beat Ryan Wing & Ruffhouse Rivera & Inferno in an Elimination match..
September 14, 2002–ECWA: Tyler Payne & Johnny Maxx defeated Inferno & Ruffhouse Rivera..
November 2, 2002–ECWA: Johnny Max & Joey Max & Tyler Paine defeated Mr. Ooh La La & Inferno & Ruffhouse Rivera..
January 18, 2003–ECWA: Xero & Benny Stoltzfus defeated Inferno & Ruffhouse Rivera..
~~~Carlton Hightower & Rob Eckos & Billy Bax defeated Trinity & Inferno & Ruffhouse Rivera.. 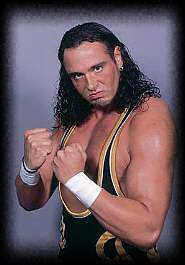 The Inferno Kid joined OVW and became known as “Danny Inferno”, teaming with Idol and Nova as the “Jersey Shore Crew”..
April 10, 2004–Ohio Valley Wrestling: Mac Johnson defeated Danny Inferno..
May 21, 2004 – OVW Summer Sizzler: Adrenaline (Cage & Jeter & Synn) defeated Jersey Shore Crew (Danny Inferno & Idol & Trudi)..
June 4, 2004 – OVW Summer Sizzler: The Troubleshooters defeated Jersey Shore Crew (Danny Inferno & Nova) by DQ..
July 23, 2004 – OVW Summer Sizzler: Beth Phoenix & the Troubleshooters defeated Jersey Shore Crew (Inferno/Idol/Nova)..
August 13, 2004 – OVW Summer Sizzler: Jerry Lawler & Chris Cage & Johnny Jeter defeated Jersey Shore Crew (Inferno/Idol/Nova)..
September 4, 2004 – OVW Fall Brawl: Seth Skyfire & Mac Johnson & Shelton Benjamin beat Jersey Shore Crew (Inferno/Idol/Nova)..
February 16, 2005–OVW TV Taping: Danny Inferno vs Aaron Stevens in an “Anything Goes” match ended in a NO CONTEST..
February 23, 2005–OVW TV Taping: Danny Inferno w/Trudi DeNucci defeated Deuce Shade (Jimmy Snuka Jr.) in a dark match..
~~~Later on, Danny Inferno & Trudi DeNucci attacked Aaron “The Idol” Stevens & Beth Pheonix after Idol’s match..
May 17, 2005–OVW TV Taping: Aaron Stevens w/Beth Phoenix defeated Danny Inferno in a TV Title Tournament match..
~~~Gene Snitsky, returning from his injury and tuning up for WWE return, attacked Danny Inferno before the match..
May 31, 2005–OVW TV Taping: Ken Doane defeated Aaron Stevens by Count Out when Danny Inferno attacked Stevens..
June 3, 2005–OVW Six Flags Show: Danny Inferno defeated Gangrel (w/Aaron Stevens & Beth Phoenix)..
June 7, 2005–OVW TV Taping: The Blonde Bombers beat Gangrel & Suzuki and Inferno & Chris Cage in a 3-WAY..
July 1, 2005–OVW Six Flags: Danny Inferno beat Aaron “The Idol” Stevens w/Beth Phoenix in a Lumberjack match..
August 10, 2005–OVW TV Taping: Daniel Puder defeated Danny Inferno by Submission in a “Striker vs Wrestler” match..
September 7, 2005–Ohio Valley Wrestling: Danny Inferno defeated Robbie Dawber..
September 21, 2005–OVW TV Taping: C.M. Punk defeated Danny Inferno (Punk suffered a ruptured eardrum)..
December 3, 2005–Ohio Valley Wrestling: Johnny Jeter & Aaron Stevens defeated Chris Cage & Danny Inferno..
December 10, 2005–OVW: Johnny Jeter/Nick Nemeth/Aaron Stevens/Danny Inferno beat Chris Cage/Heartbreakers/Gangsta2Cool..
January 14, 2006–Ohio Valley Wrestling: Danny Inferno won Battle Royal..
January 18, 2006–OVW TV Tapings: Aaron “The Idol” Stevens (w/Beth Pheonix & Shelly Martinez) defeated Danny Inferno in a dark match..
January 21, 2006–Ohio Valley Wrestling: Danny Inferno defeated K.C. 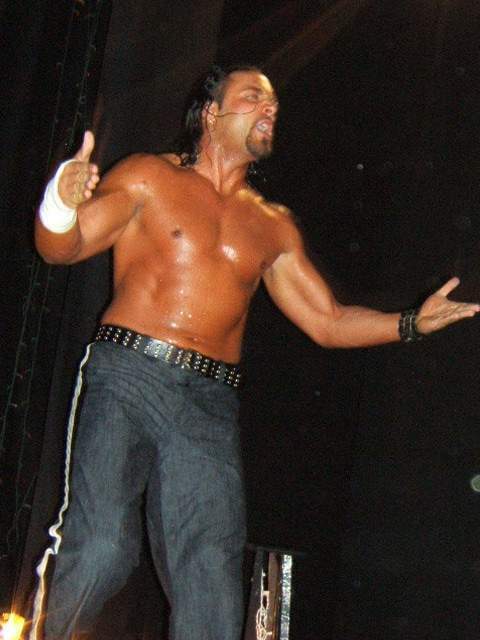 Jamez..
January 22, 2006–Ohio Valley Wrestling: Danny Inferno defeated Damon Adams..
February 1, 2006–OVW TV Tapings: Aaron ‘the Idol’ Stevens (w/Beth & Shelly) defeated Danny Inferno ..
March 16, 2006–Deep South Wrestling: Derrick Niekirk defeated Danny Gimondo to retain the DSW Heavyweight title..
April 6, 2006–Deep South Wrestling: Danny Gimondo defeated Michael Adryn…. 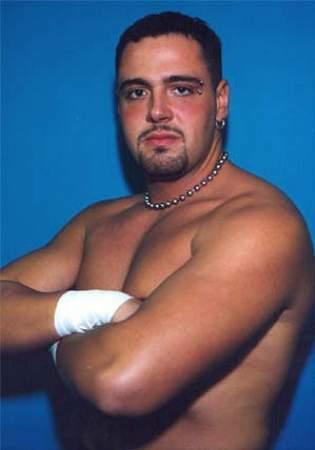 April 13, 2006–Deep South Wrestling: Danny Gimondo defeated Cru Jones in a dark match..
April 20, 2006–Deep South Wrestling: Danny Gimondo defeated Francisco Ciatso..
May 11, 2006–Deep South Wrestling: Team Elite (Knox & Neikirk) beat Roughhouse O’Reilly & Danny Gimondo (Tournament)..
June 1, 2006–Deep South Wrestling: Johnny Parisi defeated Danny Gimondo…..
June 8, 2006–Deep South Wrestling: Johnny Parisi defeated Tommy Suede when Danny Gimondo threw in the towel! 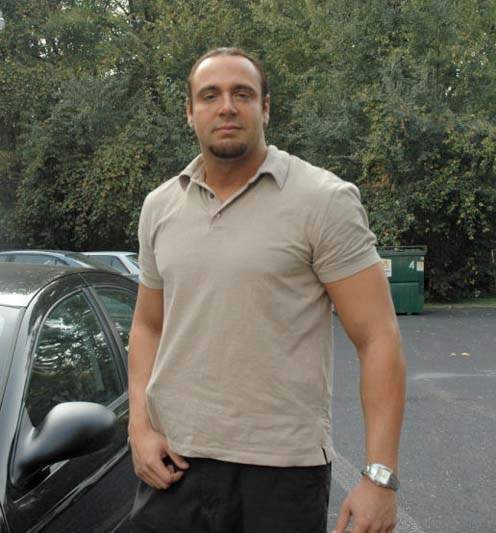 June 15, 2006–Deep South Wrestling: Danny Gimondo defeated Johnny Parisi after Tommy Suede interfered..
June 29, 2006–Deep South Wrestling: Danny Gimondo defeated Ray Gordy in a dark match……. July 20, 2006–Deep South Wrestling: Danny Gimundo defeated Onyx………. July 27, 2006–Deep South Wrestling: Danny Gimondo defeated Antonio Mestre in a dark match…. August 10, 2006–Deep South Wrestling: Danny Gimondo defeated Onyx…. August 31, 2006–Deep South Wrestling: Danny Gimondo defeated Scott Fantastic in a dark match…. September 9, 2006–DSW Six Flags: Mike Taylor w/Tracy Taylor defeated Danny Gimondo…. December 6, 2006–GCW: Tommy Rich was interviewed but attacked by Danny Inferno | Danny Inferno beat Heath Miller..
December 13, 2006–Great Championship Wrestling: Tommy Rich vs Danny Inferno w/Synn ended in a Double Countout..
December 20, 2006–Great Championship Wrestling: Danny Inferno & Deathrow beat Team MACK-tion (Kirby & T.J. Mack)..
January 3, 2007–Great Championship Wrestling: David Young w/Daffney defeated Danny Inferno by Disqualification..
January 10, 2007–Great Championship Wrestling: Team MACK-tion (Kirby & T.J. Mack) defeated Danny Inferno & Deathrow..
May 16, 2008–World Wrestling Alliance: Danny Inferno defeated “The Punisher” Don Vega in Massachusetts..
March 13, 2009: Shane Douglas defeated Little Guido in Roselle, New Jersey..
~~~After the match; Shane said he regretted throwing the NWA World Heavyweight title belt down to the mat 15 years ago..
~~~Danny Inferno & Don Montoya & Dave Greco attacked Shane Douglas until Danny Doring & Little Guido made the save! February 19, 2011–National Wrestling Superstars: Gene Snitsky defeated Danny Inferno in a “Loser Goes Through A Door” match..